Québec-whoa! 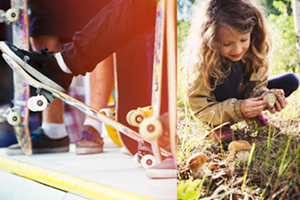 The Saguenay Region Beckons with Early Spring Adventures | Destination Recreation | Kids VT - small people, big ideas! At 9:30 a.m., I'm usually sipping coffee, typing at my keyboard and glancing at texts. I'm not, say, dipping my hand into a bag of cheese curds. But it's squeaky cheese for breakfast when on a road trip in northern Québec, just outside the borough of La Baie — the cheese curd capital of Canada according to a resident of the area. La belle province has long attracted families from Vermont and beyond to its urban centers like Montréal and Québec City. But the upper reaches of the Charlevoix region and Saguenay Lac-Saint-Jean — a 5 to 6 hour drive from the Burlington area — aren't as well trodden. I wanted to do some solo scouting for kid-friendly adventures, so I left my own offspring, ages 8 and 10, at home and headed north for a four-day reporting trip. One draw at this time of year is the extended ski season. Many of Québec's 74 ski areas stay open well into April — and charge just a fraction of what large American resorts do. Mont Grand-Fonds, for example, has an average annual snowfall of 217 inches, and a full-day ticket is just $46.97 Canadian ($35.95) for adults and $32.18 ($24.63) for kids ages 6 to 17. During my visit, I skied thigh-high powder before sitting down for a chef-prepared lunch of homemade stout and onion soup, merguez, naan, and warm "boreal milk," infused with pine from the surrounding trees — all for less than $10. That left me with change in my pocket for the casino at the Fairmont Le Manoir Richelieu, where I know my children would be captivated by the castle-like property overlooking the St. Lawrence River. Indoor and outdoor pools, horse-drawn carriage rides, and a full array of games including horseshoes, croquet and shuffleboard make it an ideal base camp for spring activities (or lingering winter ones, such as broomball and ice skating). There's even more snow at Mont Édouard, where a lumberjack and a longtime backcountry enthusiast have recently cut off-piste trails suitable for tykes. Clear signage, ski patrol services and warming huts with woodstoves make it one of the safest places to try schussing down through the powder. 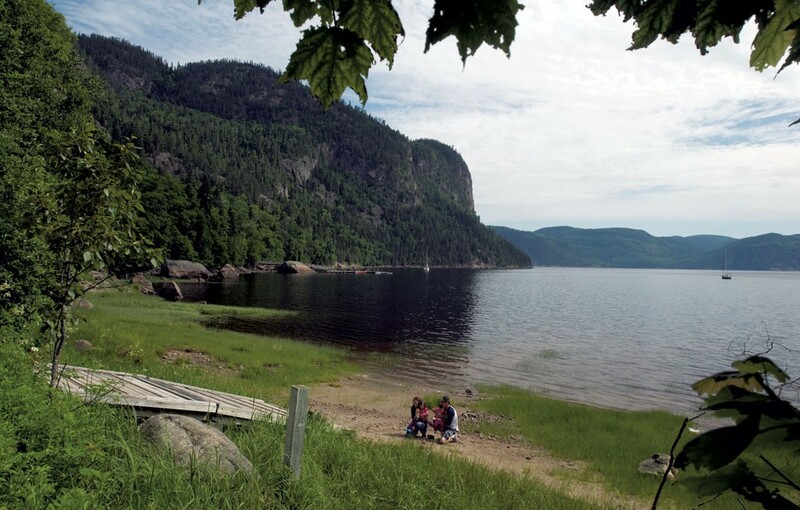 Once the white stuff melts, the surrounding Saguenay Lac-Saint-Jean area turns into a springtime playground with white-water rafting, sea kayaking on a fjord, whale watching, hiking, hands-on museums and an authentic 1920s ghost town. At its center is the 200-square-mile Parc national du Fjord-du-Saguenay, where glacial erosion some 175 million years ago created a 62-mile-long fjord. To sea kayak the Saguenay Fjord, book a reservation with Fjord en Kayak, which has two-hour excursions for families with kids ages 3 to 9, and two-and-a-half-hour trips for those ages 9 to 14. For a child-friendly white-water rafting experience, Aventure Expedition runs three-hour trips that bounce over nine rapids on the Class 3 Shipshaw River. Prefer to watch creatures navigate the waves rather than experience it firsthand? 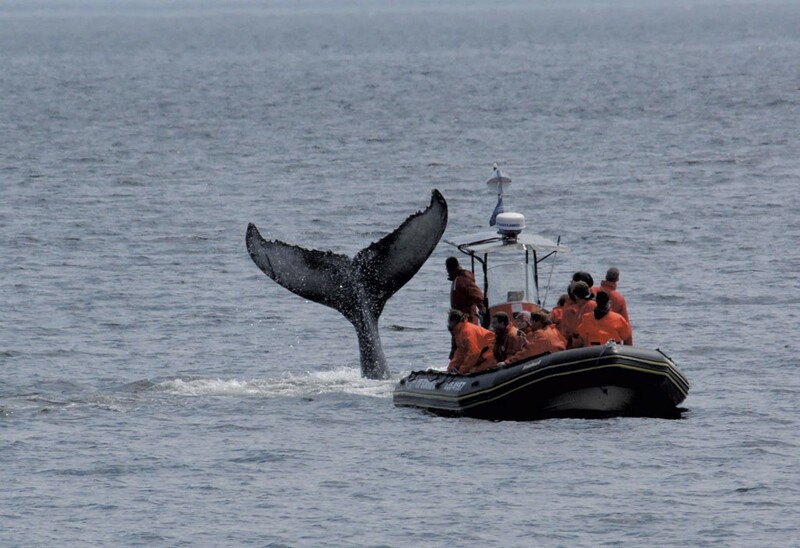 Starting in May, 13 species of whales travel to the mouth of the Saguenay River to feed. Special zodiac expeditions with Croisières AML bring kids close to the cetaceans. For a hiking challenge, consider tackling part of the scenic 133-mile Notre-Dame Kapatakan trail. Kids can dig into the tidal pools at the Musée Du Fjord museum located in Saguenay, a city of 175,000 with several distinctive neighborhoods. 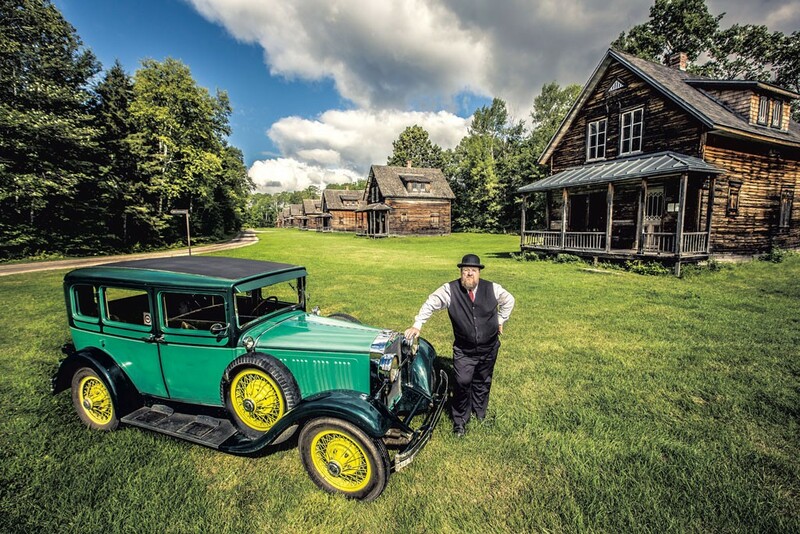 To travel back in time, tour Val-Jalbert. The historic village has preserved 1920s factory-town life, complete with a general store, school and a pulp mill. Visitors can even stay over in a period home. But this is just one of Saguenay's myriad ways to spend the night. For an edgier experience, Zoo Sauvage de St-Félicien allows families to camp surrounded by a herd of caribou. And at Parc Aventures Cap Jaseux, overnight accommodations include a tree house or a fiberglass sphere suspended in the forest. During my Québécois foray, I stayed at Imago Village, one of the coolest places I've ever unpacked my bags. A fun French-Canadian family oversees the miniature town of six colorful yurts in the Valin Mountains. What was described as "glamping" delivered much more, with wood-pellet stoves and modern furnishings straight out of Dwell magazine. The village is just steps away from a Scandinavian spa, where I snapped photos of disco-lit whirlpools to show my kids. From spring skiing to whale watching to sleeping in the trees, there are many adventures in northern Québec that I look forward to sharing with my family. I couldn't share my cheese curds, though — they were long gone by the time I arrived home.